I only offer services at your home because we cannot accommodate properly more animals at our home. Sorry for that! I am staying at home right now, so I can take care of animals also during the day time. I am looking forward to meeting you and your furry friends! Zoe took care of Hilma for 5 days during my trip to Iceland. I got photos and updates, and came back home (everything as I left it and tidy!) to a well cared for cat lady. :) I warmly recommend Zoe's services! Zoe on todella mukava ja luotettava! 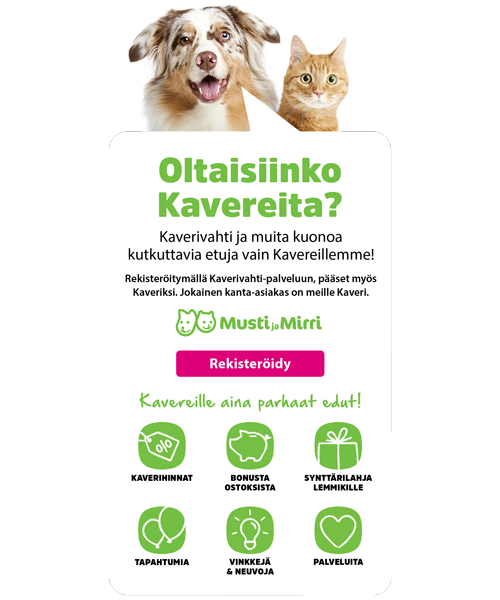 Myös ujot koiramme tykkäsivät hänestä todella paljon. Lämpimät suositteluni Zoelle! We have only good words to Zoe. She is easy to talk to, trustworthy and considerable regarding your animal's needs. We're happy that she was available to take care of our energetic cat and give him attention while we were out of town. We definitely give our recommendations and happy to contact her also in the future when there's need for cat-sitter. Thank you Zoe once again, and best of luck!